Now to a lot of you this is going to sound crazy, I have never before bought an online Beauty Box !!!! yes I know ( dino the dinosaur ) but I have never really seen the point in having someone else chose products for you, and I certainly cant' see me subscribing to a random surprise monthly box anytime soon, I am way too suspicious to wait all month to get S.U.R.P.R.I.S.E here is a box of toot that you have just paid for !!! no no not me I like to see where my hard earned sheckles are going. I only discovered Latest in Beauty because I follow them on Twitter. I spent an age on the site which is pretty flipping fabulous I can tell you ! and the best of it is, the boxes are an absolute bargain ! 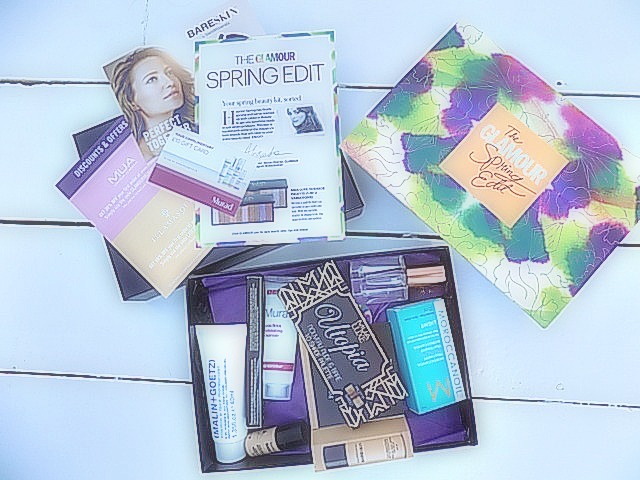 I ordered this Spring Edit Box for £17.99 with products valued at £79.00 gotta love a bargain ! Talk about Value for Money !!! Check out Latest in Beauty Boxes Here. they even do one for the man in your life. Post Contains PR/Brand Samples unless otherwise stated, also affiliate links. Exactly Lynda, I don't want a dodgy surprise lol. Ohhh Clare I need to check those out ! thanks for the heads up.